1st Johnston Scout Group has been running for nearly 37 years and covers the areas of Johnston, Hill Mountain, Llangwm, and Rosemarket and Freystrop. It is one of 14 Group's, and three Explorer Units which make up Pembrokeshire Area Scouting. The Area Commissioner for Pembrokeshire Scouting is Sue Benbow, she is supported by an Area Executive Committee. Subs invoices are sent out termly. The fees are £2.50 per week, covers the costs of annual National Membership, venue hire, insurance, equipment, maintenance, badges etc. Subs are to be paid by cheque made out to 1st Johnston Scout Group, unless cash payments are agreed with the Group Scout Leader. External activities/events/trips, or Area activities/events, and camps will normally incur an additional charge. 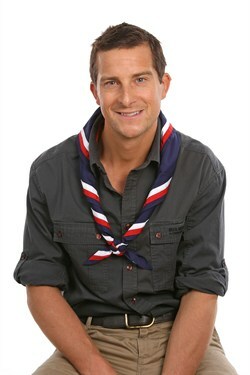 We don’t want young people to miss out on Scouting. If you need some help with paying subs/camps/events etc, please speak to Pat our Group Scout Leader on 01646 602334, who will be able to gain access to Area support funds for you in total confidence. Uniforms can be purchased from the Sheep Shop in Bridge Street, Haverfordwest, after speaking with your childs Section Leader. Group neckers are yellow/blue and supplied along with woggles, and log books, when your child is Invested - the present cost of Investiture is £15 which is to be paid before the Investiture takes place. We have lots of fundraising activities throughout the year so be sure to check the Events page to see what's going on. Don't forget that if you shop online, you can also raise funds for the group by using 'easyfundraising' - just register and shop as usual.